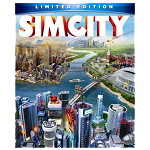 Our collection of games like SimCity offers city building games with elements of sandbox and management that are similar to the SimCity series. In the SimCity titles players are tasked with the building and management of a city in an open ended gameplay setting. The underlying goal of the various games is the development of a successful city by ensuring the city has adequate facilities and services to keep residents happy while also being financially stable. Players are given an abundance of tools to achieve their city building goals with power over buildings, city services (health, education, utilities, leisure) and more. In more recent SimCity releases players also have significant control over terrain, allowing them to modify the game world to create even more interesting, exciting and unique cities. This ever increasing depth in tools with each new game has made SimCity the standout choice for sandbox fans who want complete freedom. The city building games like SimCity here offer similar gameplay and features to the SimCity franchise for fans of the city building genre. This includes construction, management, open ended objectives and customisable game worlds. Create, design and shape your own creations in the varied gameplay that you will experience in the games below.